Want to Avoid Costly Overage Charges? I recently upgraded from a "dumb" phone to a Motorola smart phone, the DROID RAZR M ", and with that of course meant adding a data plan... I had heard all the horror stories of outrageous bills from overage charges and although I really did not think I would use that much, I assumed that part of my usage would come in from " NOT" knowing how to use it. I work from home and found that having access to data on my phone while working on the computer was actually very helpful. However I kept forgetting to turn on the WIFI while at home so that it would not use my data plan. So as always I had to ask my son for help in solving my issue, (he is my own personal tech support). He quickly found me an App that would basically do the remembering for me about turning on the WIFI, it is a SmartActions App from Motorola. It has saved me from going over on my data plan and in the process it also helps save on my battery life during the day. With his help,(again) I was able to put together a list of steps to set it up on your smart phone. For those who already know what I am talking about you can probably stop reading and for those who are like me and need a little guidance, this is for you! 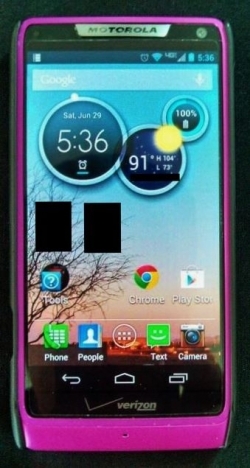 The Motorola Droid Razr line of phones has a variety of choices when it comes to features but they all run Android software so you can use the SmartActions App on any of these. 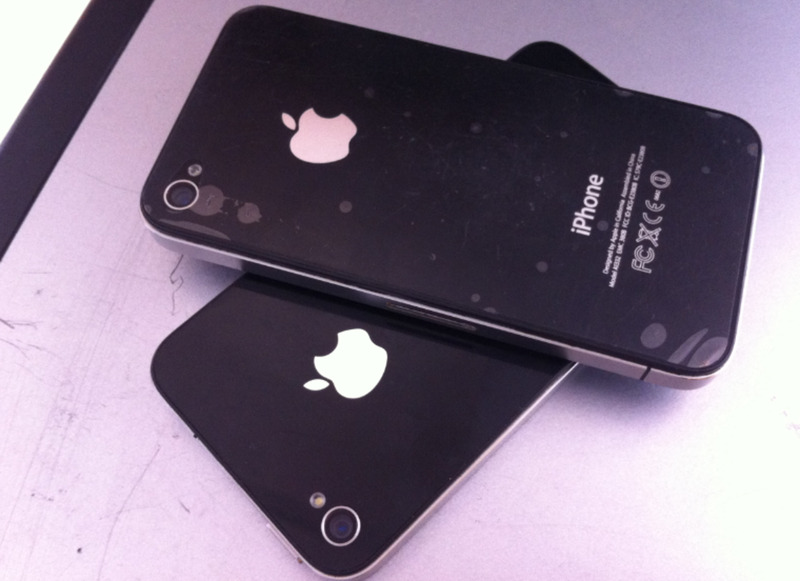 You may have a favorite already but we just happen to be a "Droid" family right now and it has worked out pretty well. 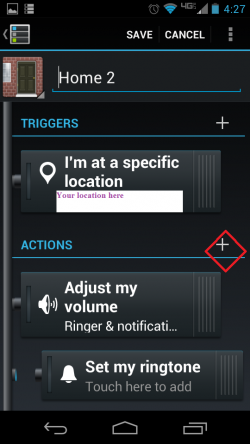 The Motorola SmartActions app works by setting different "triggers" and "actions". 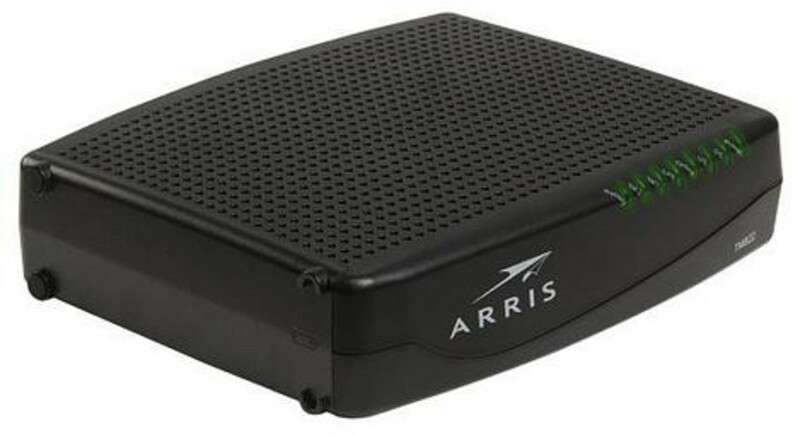 The triggers are conditions that have to be met, such as being in a specific location, battery charge status changing, or connecting to a Bluetooth device. 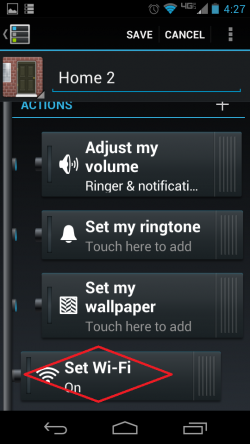 Actions are the settings that take effect once that trigger has been met, such as ringer volume changing, audio player started, or Wi-Fi being turned on. Okay, I tried to list every step and took screen shots so you could see what to look for. Each picture will have a red diamond (or arrow) to point out what to look for on your phone. I tried to just keep it plain and simple without a lot of extra talk, so I hope it helps! 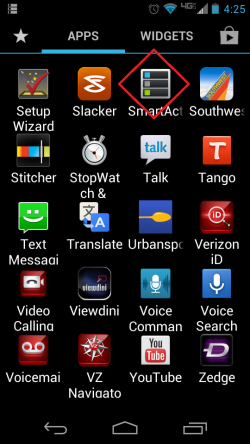 After installing the SmartActions app, locate it in your applications list and open it to begin. 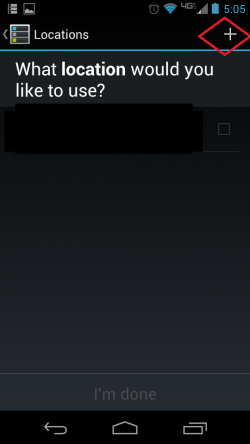 Normally this screen wouldn't show anything under the My SmartActions section if you are just getting started. I have already set mine up though, so I will take you through the steps I used to get it going. 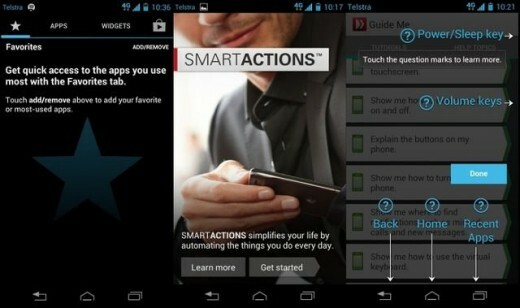 To create a new SmartAction press the plus sign in the upper right corner. There are several preset profile choices in this list with specific circumstances in mind. 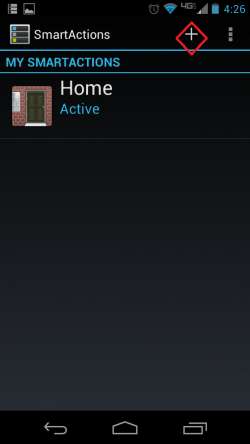 I decided to go with the Home profile since that is where I will be enabling my Wi-Fi automatically based on location. So scroll down the list until you find "Home". 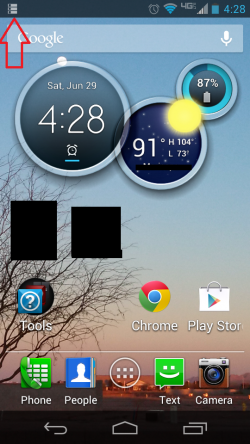 Press the Home profile option to get to the next menu level. Now you want to set your trigger, which is the setting that causes your desired action to take place. 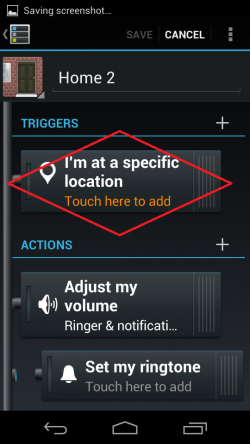 In this case it is going to be your phone recognizing that it is at a specific location. Press here to move on to the next menu. To add a new location press the plus sign in the upper right corner. On this menu page you have several options for determining which location you would like to use. Since I was at my house when I set this up, I just went with "Current Location", which identified where I was based on GPS. Depending on your particular situation you may want to choose a different method, but generally this is the easiest. 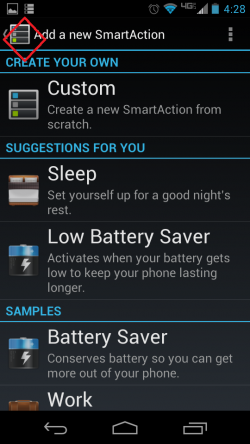 There are other uses for the SMARTACTIONS app that will allow you to customize your phone to suit your busy schedule. 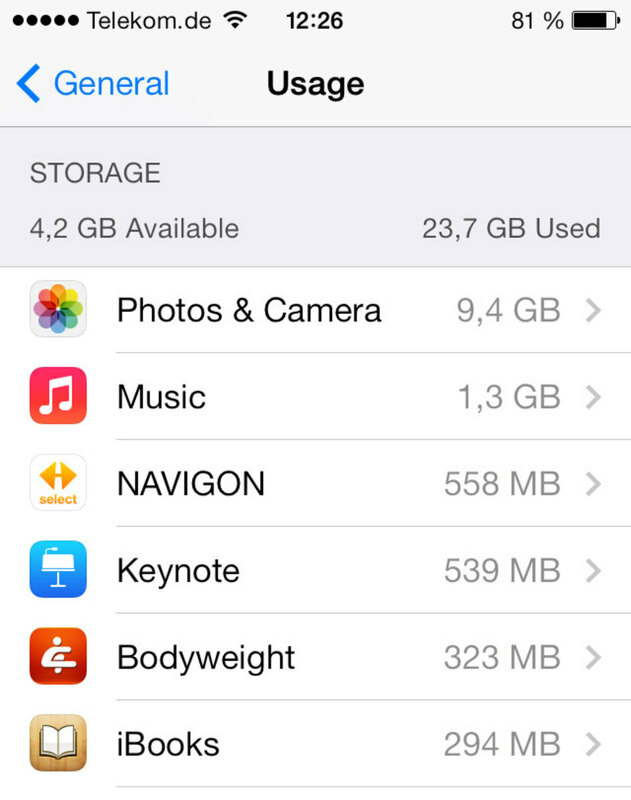 It basically is like setting up unique triggers that will not only save you on data overage charges but also keep you on track for specific events or appointments. 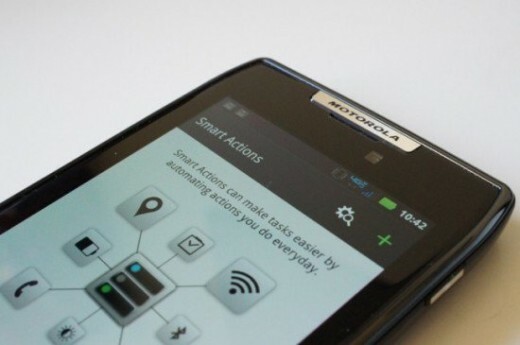 SMARTACTIONS include using things like time of day, locations, battery levels, number of missed calls and so on. The more you use the app, the more suggestions it will offer you with either optimizing existing rules or even suggesting new ones to incorporate. Now that your trigger is set, you need to choose an action to take place. To set a new action press the plus sign to the right of the word Actions. 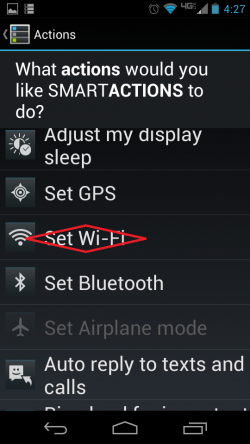 This menu offers several different choices, but for this you need to scroll down and press "Set Wi-Fi". 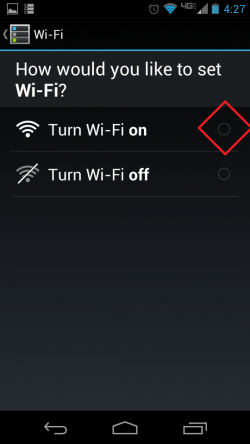 Be sure to select the bubble next to Wi-Fi on. Now that you have set the action to occur, make sure that it is enabled by sliding the toggle switch to the left so that it is "connected" to the left side panel. To get back to the SmartActions main menu, press the menu back button in the upper left corner. If everything has been set up correctly then on this screen it will show your SmartAction profile as being active. You can now exit the app back to your home screen. Have you found any of the Smartactions recommendations to be helpful? 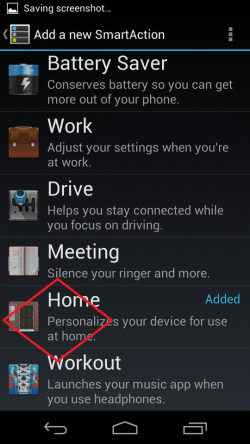 As an additional confirmation of your SmartActions profile being enabled, there should be a notification icon pop up in the upper left corner of your phone's home screen. If you are using smartactions, is your battery lasting longer? This is just a quick recap of the steps and for those of you who might not need all the details and pictures, this may be all you need. Hope you find this information helpful! Select the bubble next to "Wi-Fi on"
These are just some examples of what you do to help customize your day! There are multiple ways you can use the app to both simplify & organize your life, leaving you more time to enjoy at home or out on the town! Instead of the same ole' boring alarm, set the trigger to start playing your favorite song at 6 AM and include the weather & headlines to start your day! 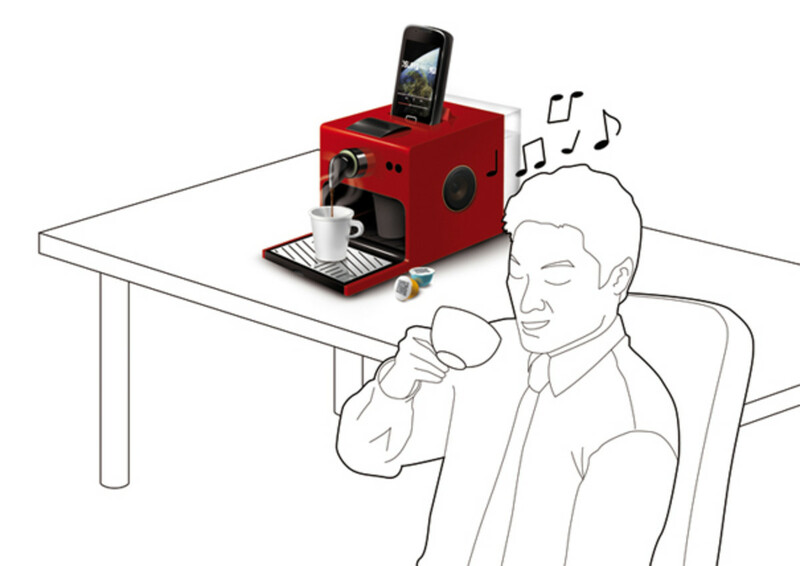 When you get to work your phone can be set to pick up your company WI-FI, switch off social media notices and put your ringer on vibrate. You never have to be the only one who forgot to turn off their phone again during the board meeting. When you get in your car to head home, have it set to connect to Bluetooth triggering a navigational app that helps you find your favorite grocery store, restaurant or smoothie shop! I am still learning how to use all the features of my new smart phone and as I find other tips that help avoid issues like unexpected billing, I will pass it along as well. Although there are so many out there like my son that already know how or can figure it out easy enough, there are plenty who fall into my demographic who have a little catching up to do! 7 Weird Odd Android Phones and Devices Ever: Microwave? Espresso Machine? 3D Picture Frame? Flip Phone? Huh? Do you have an App that has really helped you? @anonymous: Glad you found it helpful! I had such trouble remembering how to set it all up, I figured surely I was not alone. Thanks for visiting! This is a great app. Maybe I won't have such trouble remembering to change my settings now.